Start off your visit on the 12th (Thu): meet the residents at Sea Life Sydney Aquarium, listen to music at Sydney Opera House, then hike along The Opera House to the Botanic Gardens Walk, and finally tour the pleasant surroundings at Bondi Beach. Here are some ideas for day two: wander the streets of Darling Harbour, then snap pictures at Sydney Harbour Bridge, then get some thrills on the water with a speed boat tour, and finally admire the natural beauty at The Royal Botanic Garden. To see maps, ratings, where to stay, and other tourist information, go to the Sydney trip itinerary planner . The Route module can give you travel options from your home to Sydney. 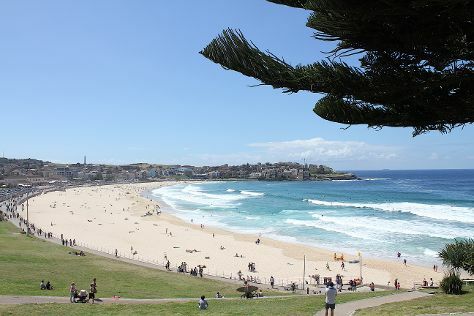 In December in Sydney, expect temperatures between 32°C during the day and 21°C at night. Wrap up your sightseeing on the 13th (Fri) early enough to travel to Hobart. 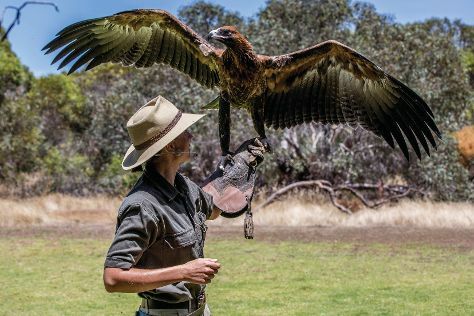 On the 14th (Sat), go for a walk through Battery Point Sculpture Trail, take in nature's colorful creations at Royal Tasmanian Botanical Gardens, then take in the views from Richmond Bridge, and finally look for all kinds of wild species at Bonorong Wildlife Sanctuary. To see other places to visit, traveler tips, ratings, and more tourist information, you can read our Hobart trip maker site . Getting from Sydney to Hobart by flight takes about 4.5 hours. Other options: do a combination of train, ferry, and bus; or do a combination of bus and ferry. Traveling from Sydney in December, expect Hobart to be little chillier, temps between 24°C and 13°C. Cap off your sightseeing on the 14th (Sat) early enough to travel to Port Campbell. Port Campbell is a coastal town in Victoria, Australia. Eschew the tourist crowds and head to Mait's Rest and London Bridge. Step out of Port Campbell with an excursion to Otway Fly Treetop Adventures in Weeaproinah--about 1h 10 min away. 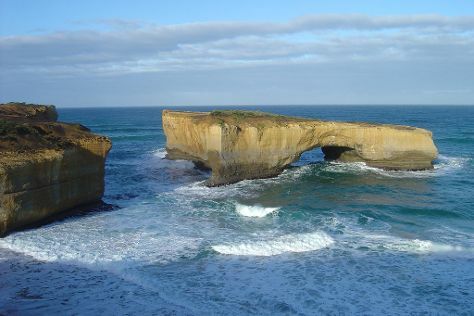 Spend the 16th (Mon) exploring nature at Port Campbell National Park. There's more to do: explore the striking landscape at Twelve Apostles. To find more things to do, ratings, where to stay, and other tourist information, you can read our Port Campbell trip tool . Do a combination of flight, train, and bus from Hobart to Port Campbell in 10 hours. Alternatively, you can do a combination of flight, shuttle, train, and bus; or do a combination of car and ferry. 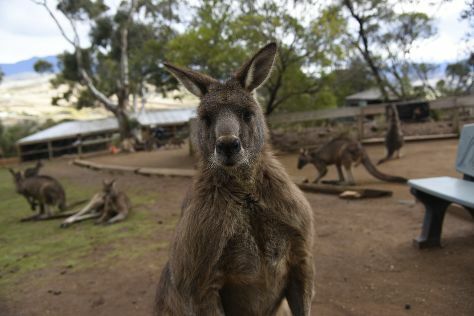 Finish your sightseeing early on the 17th (Tue) to allow enough time to travel to Kangaroo Island. Start off your visit on the 18th (Wed): identify plant and animal life at Raptor Domain and then look for all kinds of wild species at Seal Bay Conservation Park. On your second day here, explore the striking landscape of Flinders Chase National Park. To see ratings, photos, maps, and more tourist information, refer to the Kangaroo Island tour itinerary planning website . You can do a combination of car and ferry from Port Campbell to Kangaroo Island in 10.5 hours. Other options are to do a combination of bus, flight, and taxi; or do a combination of bus, ferry, and taxi. Wrap up your sightseeing on the 19th (Thu) to allow time to travel to Albany. You'll discover tucked-away gems like Greens Pool and The Gap and Natural Bridge. 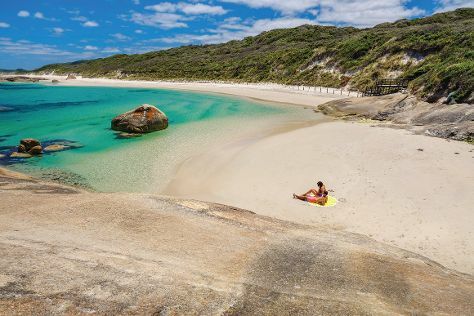 Change things up with these side-trips from Albany: Cheynes Beach (in Waychinicup National Park), Anvil Beach (in Denmark) and Cosy Corner Beach (in Kronkup). There's still lots to do: enjoy the sand and surf at Little Beach, pause for some photo ops at Desert Mounted Corps Memorial, see the interesting displays at National Anzac Centre, and stroll through Betty's Beach. For traveler tips, where to stay, and other tourist information, go to the Albany road trip tool . You can do a combination of taxi and flight from Kangaroo Island to Albany in 9 hours. Another option is to do a combination of taxi, flight, train, and bus. The time zone difference when traveling from Kangaroo Island to Albany is minus 1 hour. In December in Albany, expect temperatures between 26°C during the day and 13°C at night. Finish up your sightseeing early on the 22nd (Sun) so you can go by car to Margaret River. 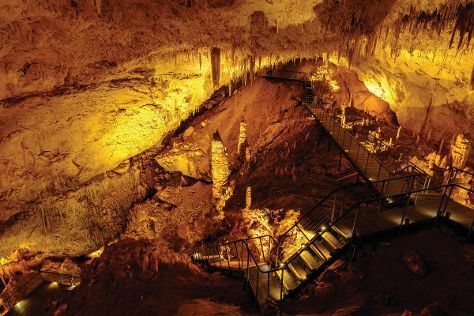 You'll explore the less-touristy side of things at Jewel Cave and Caves Road. Change things up with a short trip to Ngilgi Cave in Yallingup (about 36 minutes away). There's lots more to do: Head underground at Mammoth Cave, identify plant and animal life at Sunflowers Animal Farm, savor the flavors at Food & Drink, and indulge in some culinary diversions at a local gastronomic tour. For where to stay, maps, more things to do, and more tourist information, use the Margaret River trip builder app . You can drive from Albany to Margaret River in 4.5 hours. Other options are to take a bus; or do a combination of flight and bus. Finish your sightseeing early on the 25th (Wed) so you can travel to Port Douglas. Take a break from Port Douglas with a short trip to Palm Cove Beach in Palm Cove, about 42 minutes away. Spend the 26th (Thu) among aquatic life with a scuba or snorkeling tour. The adventure continues: tour the pleasant surroundings at Wildlife Habitat Port Douglas, have fun at Port Douglas Tennis Club, and identify plant and animal life at Mossman Gorge. Inspirock's itinerary builder makes planning a Port Douglas trip simple and quick. You can do a combination of bus, flight, and shuttle from Margaret River to Port Douglas in 13.5 hours. Other options are to drive; or do a combination of bus and train. Due to the time zone difference, you'll lose 2 hours traveling from Margaret River to Port Douglas. In December, daytime highs in Port Douglas are 36°C, while nighttime lows are 26°C. Wrap up your sightseeing by early afternoon on the 28th (Sat) to allow enough time to travel back home.